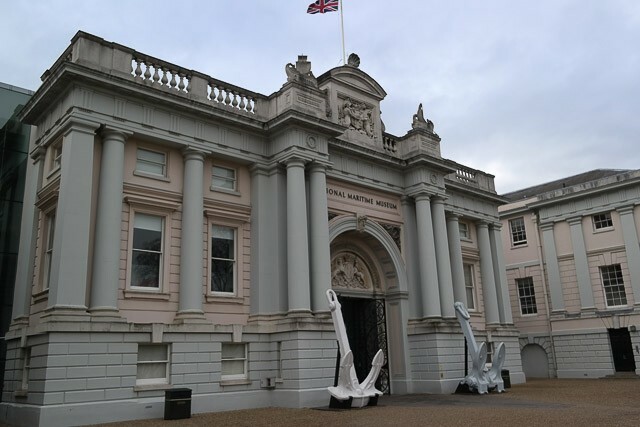 We were considering booking The Brasserie in the National Maritime Museum, Greenwich for a family event in a few months’ time. We thought checking out their Sunday lunch would be a good idea so I booked a table for 5 (Claire, me, our toddler JW and my grandparents). 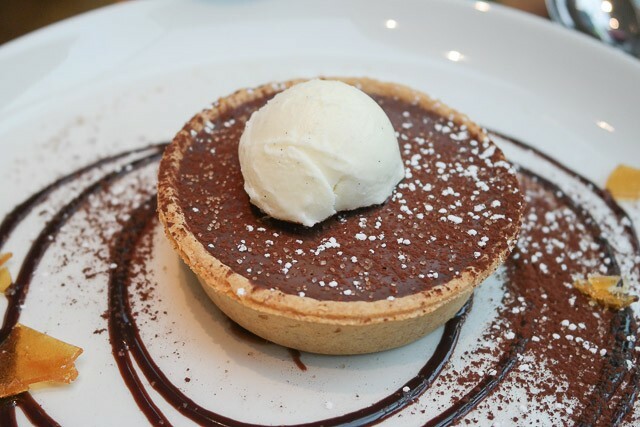 We had already reviewed somewhere in Greenwich previously (read about Sunday lunch at The Trafalgar Tavern), so were prepared for the astronomical price of parking in the area (£12 for 4 hours – remember to bring change!). The National Maritime Museum car park is quite large though, so you should always be able to find a space. We decided to pop over to Greenwich Park to tire out JW before lunch – there was a great children’s play area to keep us entertained for an hour or so. As you can imagine, it was impressive walking through the (free admision!) museum – up some stairs and you are into the restaurant. We were met immediately and shown to our table in the window – with views of Greenwich Park. With large windows and a glass ceiling, the venue was well lit and had some wonderful views from our table (some of the best we have had for Sunday lunch, only beaten by our visit to The Pearson Arms in Whistable and perhaps Kits Coty in Aylesford). The table was fully laid out, with linen napkins. As there were 4 adults, we ordered a bottle of the house red to share, at £19 . JW can get a bit awkward after sitting at the table for too long so we decided to skip starters and go straight for the main course. Claire ordered the Roast Chicken, JW had a child’s Roast Beef and I also ordered the beef. 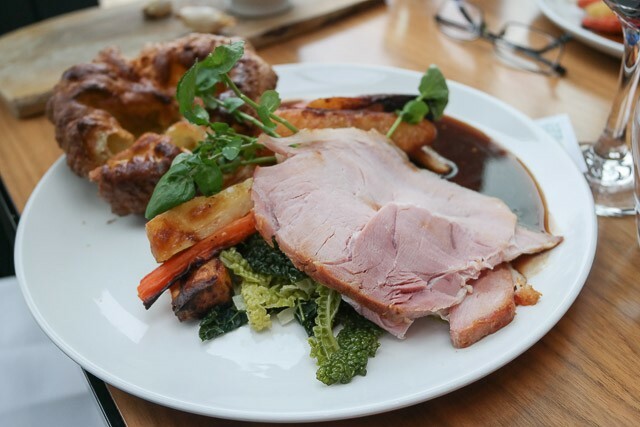 My grandfather ordered the Roast Gammon, as the picture below shows. Food came out quickly – and looked very impressive indeed! I had two thick slices of pink beef, along with 3-4 roast potatoes, carrots, parsnips, cabbage and leeks. We had a Yorkshire pudding each, served separately along with the gravy (jus). Claire had a large supreme of chicken and JW had a thick slice of beef. 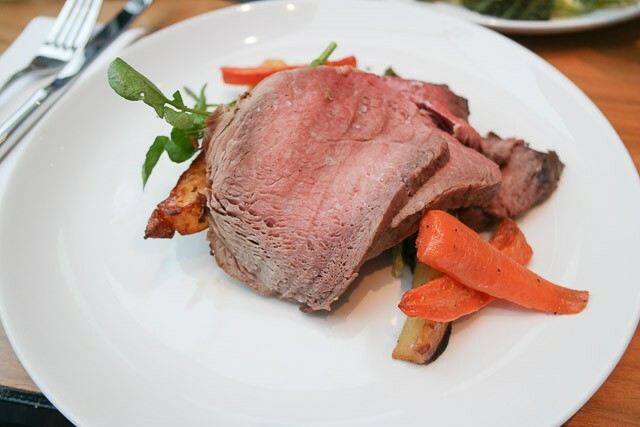 The beef was beautifully cooked – very tender and a large serving! The roast potatoes were delicious, lots of nice seasoning – the Yorkshire’s were equally tastey. The vegetables were cooked well and had a great selection to enjoy. 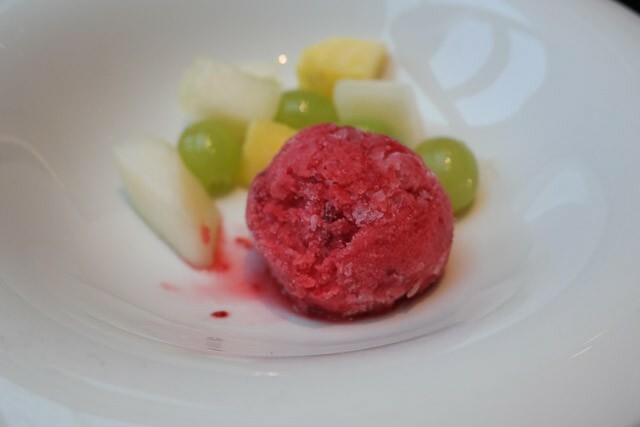 JW was off gluten and dairy, we asked the waiter if they could put a small fruit salad together with some sorbet – this was sorted out for us without any fuss. Claire ordered the Chocolate Tart and I asked for the Sticky Toffee Pudding. We also ordered some coffees which we asked to come out at the same time. My dessert was very good – interestingly it was one of the less stodgy (ie “lighter”) sticky toffee puddings I have had (I forgot to take a photo!). Claire’s tart was good, and JW ate all his fruit salad (so that was a “yes” from him). JW’s high chair was clean and sturdy. 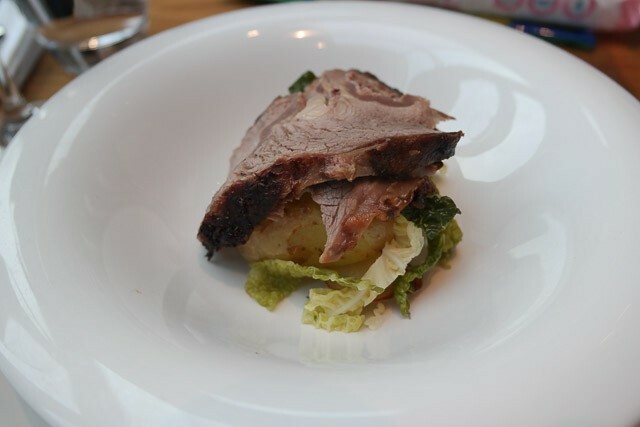 I was pleased they provided a child’s roast – I felt it was reasonably priced at £5.50. If I was looking at any kind of complaint, his dessert was perhaps a tad on the expensive side, being £4 for some fruit with sorbet, but we were just pleased they could provide something good for him to eat. We didn’t need to use the baby changing facilities, I believe they have some available though. 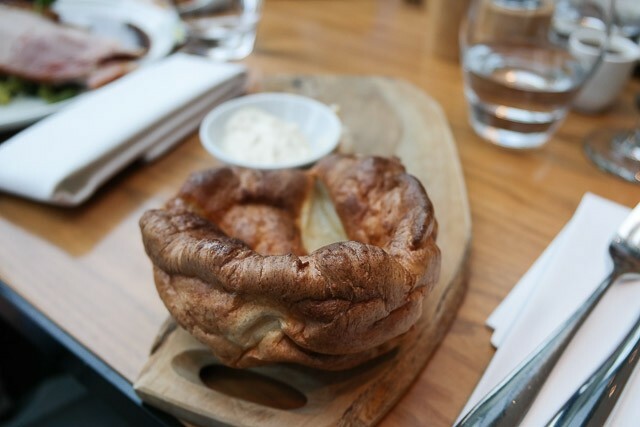 I was thoroughly pleased we chose to have Sunday lunch at The Brasserie in the National Maritime Museum – the service was excellent, being very friendly and attentive without us feeling put upon at any point during the meal. The food quality was superb, especially the very tender and generous roast beef. The views of Greenwich Park just topped it all off nicely. Overall, a venue suitable for most occasions and we will be definitely visiting again for our family celebration! 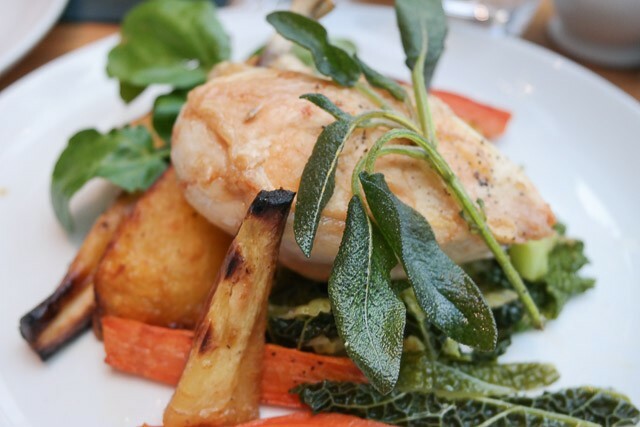 Sunday lunch at The National Maritime Museum in Greenwich receives 5/5, a well deserved Top Rated award!